Slip-stitching is one of my most favourite techniques, which I have used in a number of designs. Testing these patterns in our Ravelry group, I have realised that there are a number of recurring issues, which crocheters seem to encounter when they start out with this technique. I thought that grouping them in one blog post could be a helpful resource for those trying my patterns featuring this technique for the first time. So here we go! This seems to be the most common concern with this technique. I believe the key here is to think of a slip stitch as a valid crochet stitch, just like a single crochet, or a double crochet or any other crochet stitch, rather than something you use when tightly joining crochet rounds. So if your fabric does not shrink horizontally when you work a row of single crochet or double crochet, there is no reason why it should with slip stitches. There should be a nice even row of ”V’s” on top, just like there is in a row of single crochet or double crochet, except that the row will be shorter in height, since slip stitches effectively have no “legs”. So, when you work the base chain and then the first row of slip stitches on top, if it seems tighter than your base chain, you might be working too tightly. Try again, but this time work your slip stitches as if you were still chaining. It is, in fact, the same row of chains, except that you are joining it to something below. So don’t think about the extra loop on the hook and pretend you are chaining. If your base chains are loose and uniform, there is no reason why your first row of slip stitches should not be. I also noticed in a few videos available online that some crocheters tend to stop after they pull through the loop of the row below. So they insert the hook in the stitch, yarn over and pull through the stitch, stop and only then they pull the same loop though the loop on the hook. This looks a lot less efficient and might cause the extra tightening. It is much quicker when you pull through both the stitch below and the loop on the hook in one single motion, just as you would when closing any other stitch. Some people compare slip stitching to “crocheting air”. I think what they mean is that it is exactly the same scooping motion you make when crocheting the last “YO, pull though two” of any stitch and get that nice and neat “V” on top. Depending on which loop you work into and which way you insert your hook when slip-stitching, you can get different-looking results with this technique. In my patterns I have only used one single way of slip-stitching so far: working in the back loop. Since there are no legs to separate the top “V”, it might not be immediately clear which one is the back loop. When you work flat (back and forth rows, turning at the end of each row), the simple solution is to mark a few front loops while working the last stitches of the previous row, which, once you turn your work, will become the back loops. Marking the first stitch in a flat row is also a good idea because it is so easy to miss it when you get to it in the next row and when it becomes your last stitch. If you continuously miss it for a few rows you will notice a gradual shrinking in width of your piece as it will become narrower and narrower. So make sure to keep a regular stitch count until you know exactly where that last loop is hiding and you don't miss any stitches. 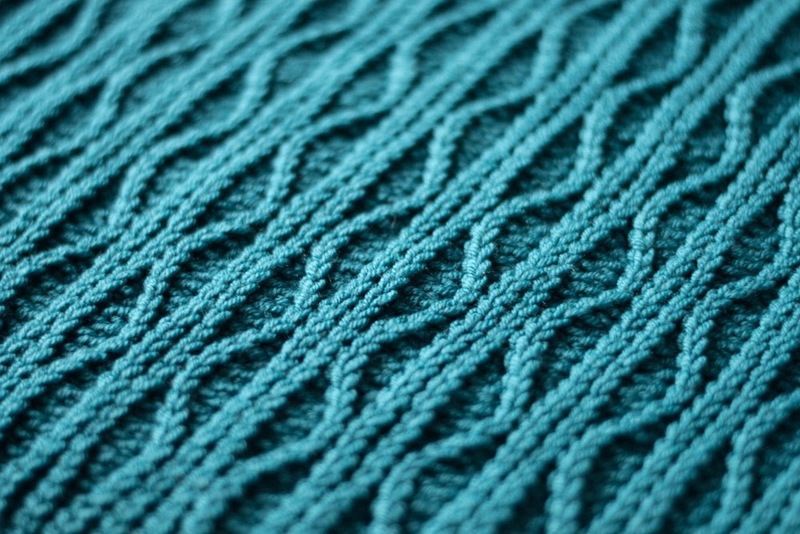 While some people do not make raising chains when working rows of slip stitches, I personally do and I also suggest doing that in my patterns. These raising chains, if worked loosely, can look a bit messy on the edges of the fabric. The obvious solution here is to simply tighten them up before working the first stitch of the next row. Also, always turn your piece in the same direction when going from one row to another for an even uniform edge. Should you prefer not to make raising chains, make sure to mark the first stitch as per the tip above not to miss it. The resultant fabric should not be tight, but plush and squishy. I have been slip-stitching for a while, so I can achieve nice, loose and uniform loops with a fairly small hook. If the hook I listed in my pattern doesn't give you this lush look and feel, go up a hook size or two. We all have different personal techniques, which is why you don’t always get the designer gauge with the same hook size even if you are using the exact same yarn. It is based on the same La Mar stitch pattern featured above, which fuses regular crochet with rows of slip stitches to create a beautiful texture. I have previously used this stitch pattern in my La Mar Hat and have now bundled the two patterns into an ebook, for those who might be interested in both. Although the two patterns are very similar, unlike the hat pattern, which calls for sport- to DK-weight yarn, the cowl pattern suggests using DK- to worsted-weight yarn, so the suggested gauge is different. 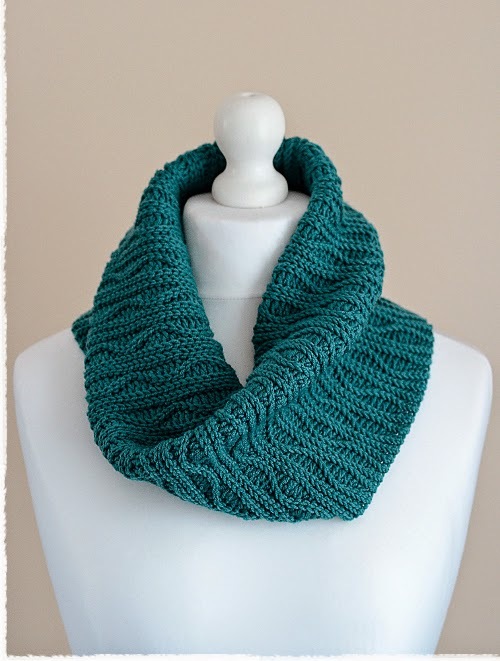 If you are only interested in the cowl pattern, there is still an active introductory discount on the individual La Mar Cowl pattern, which is going to be valid until 14 October, 2014.